So sad that this post has come to be published. As you would have found out, David Bowie has passed away from cancer. Here’s the link to the Hollywood Reporter article. If this looks different from the site’s article, that’s because I caught it 30 minutes earlier, and there was a different picture used. I liked both, this one for a portrait that still showed his sparkle, and the one where he is performing for his vitality, that he will live on in the music that he has brought to us. I first found out about this when +NikkieTutorials tweeted about his death. 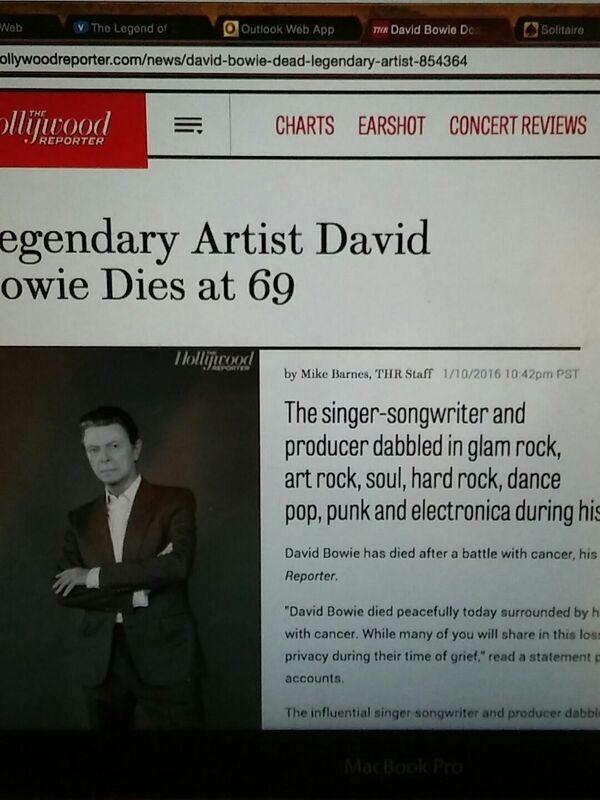 At first, people were saying it was a hoax, but then when Hollywood Reporter and the official David Bowie fansite confirmed it, I wanted to cry. But I’m at work, and this morning had not been good to me, so I didn’t cry. To the families of David Bowie, whether it is his wives, his children, his friends, his nephews, nieces, uncles, aunts, and fans, we have all lost someone special. It is painful; I know it is. And I hope after the tears and the pain and the grieving, we can stand again, together, and smile towards the coming future without this amazing, creative, talented man in our lives. I believe that he would want that for us all. So I’m going to cut the sappiness now, and leave with the song that started my love and admiration for him. Miss you, David. Goodbye, and have a great time in heaven.